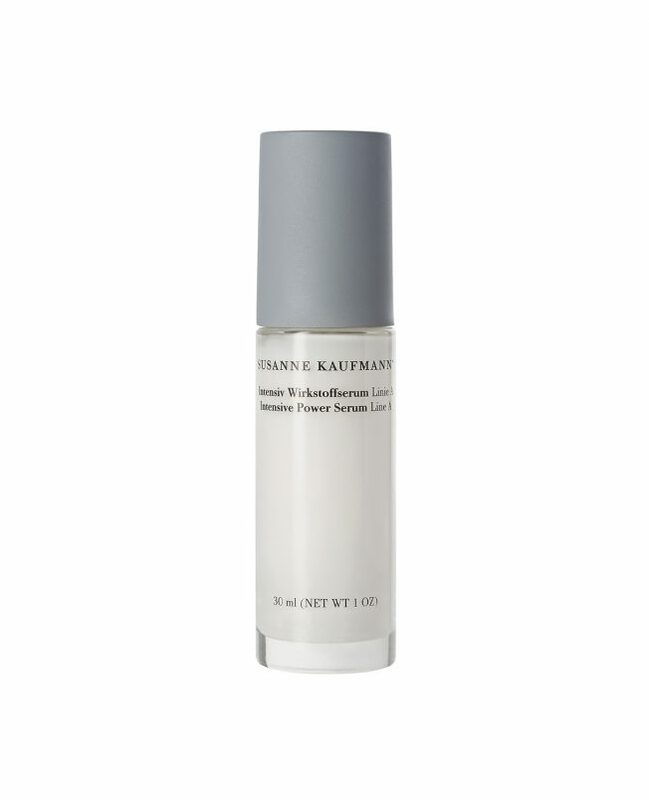 The intensive anti aging power serum Line A reacts to the needs of demanding skin with scientific developments. An intelligent combination of active ingredients allows the optimal interaction of the respective components which individually solve each problem related to the aging of the skin. Plant-based hyaluron stores moisture*, extracts from moth beans and lupine increase the resilience* and stimulate the production of collagen*. The active ingredients Ectoin and ubiquone improve the performance of the cells*. Brown algae protects the skin cells as an antioxidant*. The skin is immediately vitalised, nourished and visibly firmed*. The effects have been dermatologically confirmed. Application: The fast-absorbing serum can be used during daily as well as nightly care. Apply a small amount and gently work it into the skin.